This is the 7th. 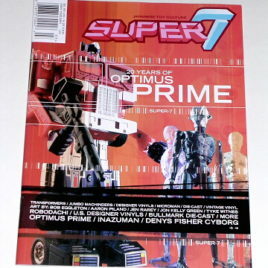 issue of Super 7 Magazine. 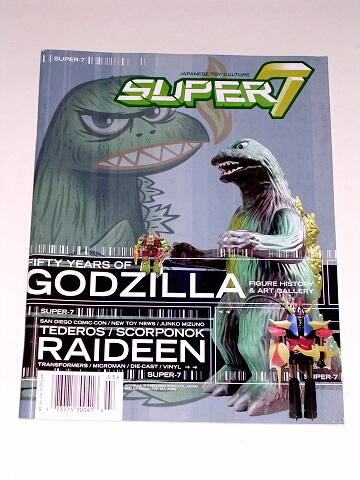 It features articles on 50 years of GODZILLA figure history, an AMAZING art gallery of Godzilla friends and foes, Sandiego Comic-con, New Toy News, Transformers and Die-cast toys. This issue has breath taking artwork and color photos. This is a wonderful magazine if you love Japanese Toy Culture. This is also a great reference book for collectors! 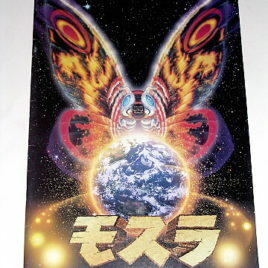 (this one is a must have for Godzilla collectors) Limited supply available. Magazine dimentions 11 by 8 1/2 inches.